Whether or your race course is hilly or not, adding hill workouts to your training plan will pay off. Hills, much like speed work, increase your cardiovascular and muscular strength, as well as prepare you for mental fatigue come race day. Joe, a half marathoner from Pennsylvania likes hills because they “build strength and improve economy.” If your training plan does not incorporate hills or speed work training, try switching out one regular workout once a week. Hill workouts are certainly not a necessity for beginning training programs, but they can add an extra confidence boost to any runner faced with hills on race day. Hill workouts are similar to speed work in that they require shorter bursts of energy expenditure followed by a recovery period. They are usually done in one of two ways. The first way is more common, especially for those runners who live in a particularly flat area. Begin by warming-up for approximately a mile on a flat course. Then, you run up the hill at a fairly fast pace for a short period of time. Most beginning runners will start at 30 seconds and will build up to two minutes. Turn around and jog slowly down the hill. Repeat this workout anywhere from 10 to 20 times depending on distance and endurance. The goal is to maintain the same intensity going up the hill throughout the workout. The second type of hill workout involves utilized rolling hills over a course. Many runners do not have access to rolling hills, but this workout can be accomplished using a treadmill. Choose a course that contains 5 to 10 rolling hills over a distance of 3 to 6 miles. Challenge yourself to run quickly going uphill and use any downhill to slowly recover. This workout is especially useful to runners who will be racing a hilly course. And even though many runners loathe the treadmill, it can be particularly useful for hill workouts. The grade of the hill is easily controlled and you can choose from a variety of hill sizes depending on your needs. 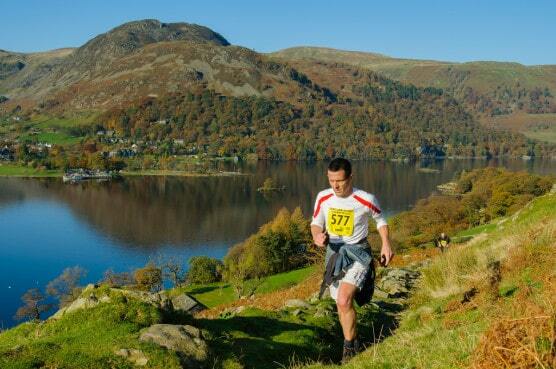 If your race course is particularly hilly, review the course elevation map. Take note of any severe elevation changes and incorporate those types of hills into your training runs at least once a week. It will be really difficult to tackle hills on race day if you have little experience training with them. Not only will you be getting your body in shape to race hills effectively, but you will be mentally prepared to take them on if you have made it a part of your training regime. If your first half marathon happens to be perfectly flat, use hill training to help push you through the last few exhausting miles of the race.